Poncelet Part I: Poncelet Punto Selecto, Cheesemongers — Nom Voyage! While researching my recent trip to Madrid for great places to eat, I came across a highly recommended restaurant called Poncelet Cheese Bar. Being a lover of all things cheesey, I knew I couldn't miss this gastronomic dairy heaven during my visit. The concept of Poncelet began in 2004, at a shop called Poncelet Punto Selecto whose goal was to promote the Spanish tradition of cheesemaking and share a wide variety of Spanish artisanal cheeses with the world. 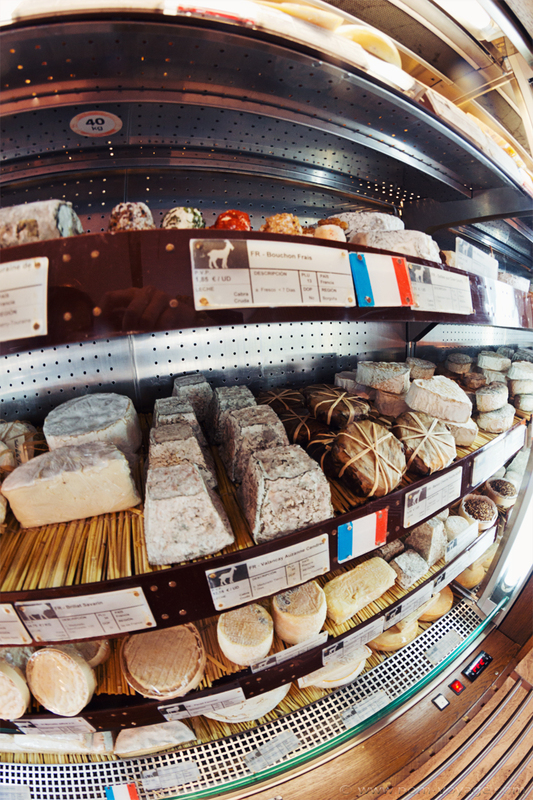 Eventually the shop expanded to sell high quality cheeses from all over Europe and today has more than 350 European cheeses available for sale. 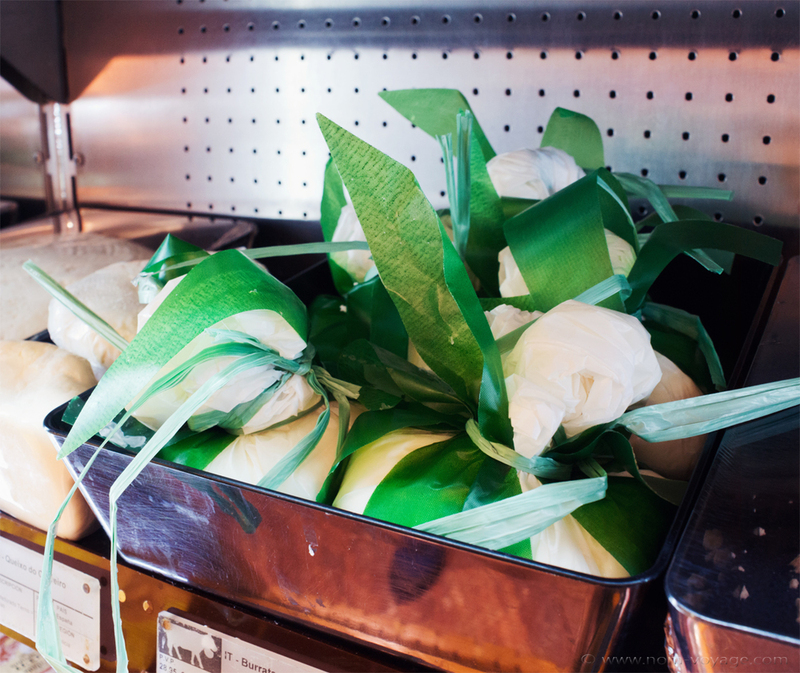 Each cheese is labeled with the name, country and region of origin, a description of the taste, and price. However, if you have any questions at all, the employees there are quite knowledgeable and were very happy to answer them. During the time I was in here photographing, several customers came in to make purchases and had lengthy conversations with the man behind the counter before getting their cheeses wrapped up to take home. Five years after the opening of the cheese shop, Poncelet created a Maturation Cave north of the city center in Madrid. The folks at Poncelet went out into the country to find some of Spain's best dairy farmers and cheesemakers and worked in conjunction with them to finish off, or tune, the cheeses during the maturation process. The resulting culinary delights are available to the public at Poncelet Punto Selecto, Poncelet's two Cheese Bars (in Madrid and Barcelona), and via their online store. To top it all off, not only does Poncelet have this amazing shop stocked to the brim with cheeses, 2 Cheese Bars, and the Maturation Caves, they also offer tasting classes to familiarize participants with the world's cheeses as well as a catering service for any party or event in the local area. Unfortunately I was only in Spain during the week and the classes tend to be held on the weekends, so make sure to plan that into your itinerary for your next trip to Madrid or Barcelona. Poncelet Punto Selecto is located at Calle Argensola 27 in Madrid. For those folks taking public transport, the two closest metro stops are Colón and Alonso Martínez. Their phone number is +34 913 08 02 21 and their hours are Monday - Saturday from 10:30 to 20:30 (8:30 PM).